CINCINNATI -- Local leaders in the Tri-State took to social media Friday morning to respond to the sniper attacks that rocked Dallas Thursday night, killing five police officers and wounding seven others during an otherwise peaceful protest. "What a heinous cowardly act," wrote City Councilman P.G. Sittenfeld on his Twitter. "Details still coming out but it's clear this kind of violence misunderstands a critically important truth. The vast majority of police officers are good people who feel called to public service, and who do a damn hard job incredibly well." Violence against police officers cannot be condoned anymore than it can be against innocent, young, black men or anyone else. Hamilton County's GOP Chairman Alex Triantafilou shared his regrets along with a request for liberals to stop "anti-cop rhetoric." 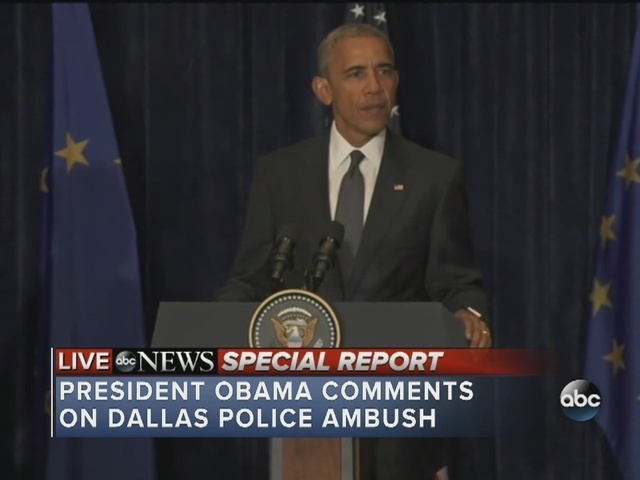 Butler County Sheriff Richard K. Jones pointed a finger at President Barack Obama, saying he "has blamed police enough." Heroes run toward gunfire.thank god for the police. Hamilton County Prosecutor Joseph Deters and City Councilman Chris Smitherman both called for unconditional support and prayers for Cincinnati's finest. We all must support our @CincinnatiPD . 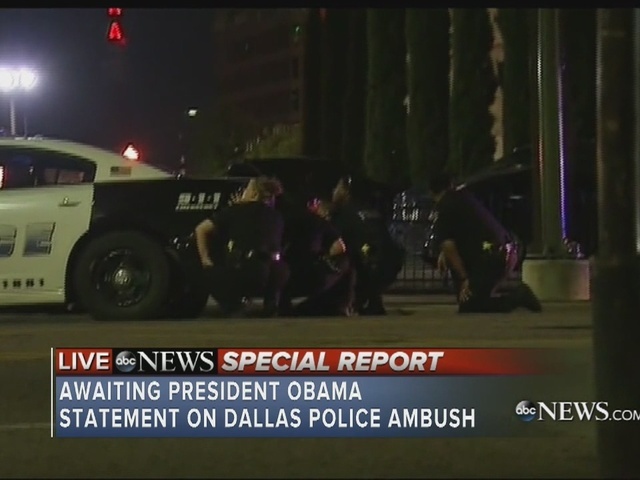 The ambush and murder of Police Officers in Dallas, TX last night was an attack on all of us. Mayor John Cranley was among many, including the Cincinnati Police Department , Covington Police , Kentucky Gov. Matt Bevin , Ohio State Representative Alicia Reece and Bengals quarterback Andy Dalton , who also shared condolences and best wishes for police forces via Twitter. Ohio State Senator Shannon Jones quoted Obama's morning remarks from Poland calling these "vicious, calculated and despicable attacks" and promising that "justice will be done," alongside a Biblical quote.